We are off to a great start in 7th Grade math this year! Please check your current grade on AH-Connect. What should you do if you need help with math? 1. Mrs. Simonet is available for Math Help Night almost every Wednesday after school for questions, quiet work time and retesting. Please let me know if you are interested. 2. 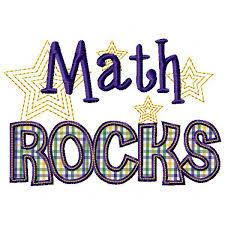 Mrs. Simonet is also available for Math Help every Monday, Wednesday, Thursday and Friday during Connections. Get a red Math Help Connections pass.